Mitsui Fudosan celebrated the completion of 8-10 Moorgate, its first development project in the City of London, at a formal reception held on 9th June. Guests ranged from Mitsui’s development partner Stanhope, architects Allies and Morrison and the project team led by Mace, to prominent members of the Japanese business community in London and the Japanese Ambassador to the UK, Keiichi Hayashi. 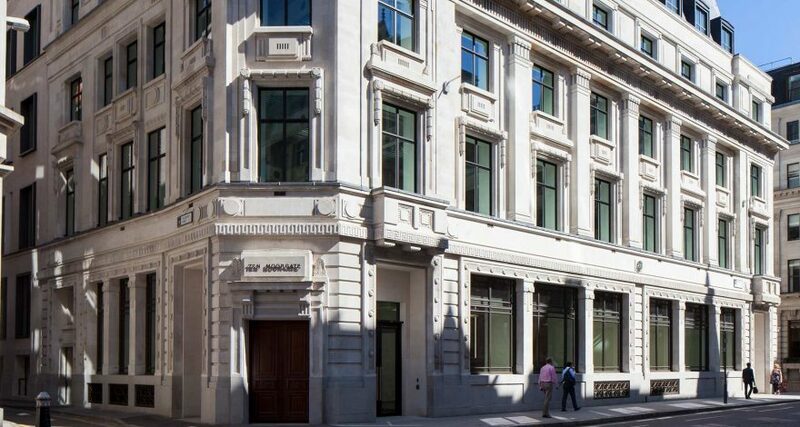 Acquired in 2011 following the financial crisis, 8-10 Moorgate sits on a prominent site in the heart of London’s Bank Conservation Area and a stone’s throw from Mitsui’s latest acquisition at One Angel Court. The company’s second City development at 70 Mark Lane celebrated its topping out in April and is on course for completion in November. The eight-storey Moorgate development blends original characteristics with modern elements, from a retained façade to a rooftop open-air terrace below a contemporary glass curtain wall, and offers uncompromised floor space with high-spec finishes. Earlier this year, ING Bank entered into an 18-year-lease agreement to take the full 130,000 sq ft of office space. Speaking at the reception, Hideto Yamada, Managing Director of Mitsui Fudosan UK, paid tribute to all those involved in the development, which marks “an important milestone for Mitsui”, and reiterated the company’s commitment to enhancing London’s cityscape. The completion reception also commemorated the rich legacy and historical background of the site. The leasehold was acquired from the 500-year-old Clothworkers’ Company while a large number of Roman objects were uncovered during excavation work by the Museum of London Archaeology (MOLA), evidence that people lived and worked in the area 2,000 years ago. A selection of the Roman finds were on display at the reception with specialists from MOLA on hand to answer guests’ questions. The reception also featured a traditional Japanese sake-cask breaking ceremony, and guests were offered sake in ceremonial cups to celebrate the building’s completion.